Delhi, India’s capital, not just stands for big historical buildings and flourishing markets, but also lip-smacking foods of diverse kinds. Be it the traditional kebabs of the Mughals or the crispy savories of the present like samosas, chaats, rolls and momos, the city has it all. Let us take a quick look at the list of the famous delicacies one may get here along with the prominent joints selling them. A dish of vada (lentil fritters) soaked in sweet curd, the charm of this platter lie in the green and red chutney (dips) which serve as a garnish, alongside the crispy bhujia (snack) sprinkled on top. 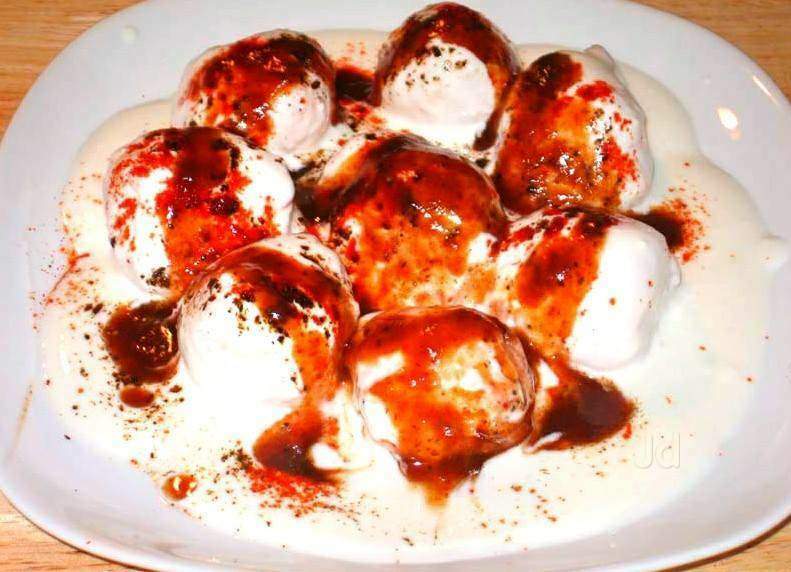 Nataraj Dahi Bhalla Wale, a small joint situated at a 2-minute distance from Chandni Chowk metro station excels in dahi bhalla and fried dal tikkis (lentils cutlet), the only two items on its menu. Just like dahi bhalle, aloo tikki or potato cutlet is another popular chat dish (savory snack) sold on the streets of Delhi like hot cakes. 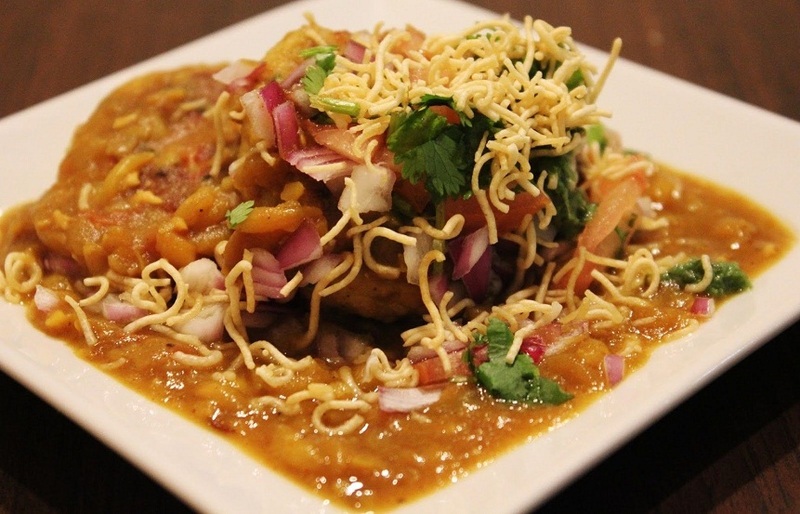 Prabhu Chaat Bhandar is one of the best places to eat spicy aloo tikki chaat besides other items like dahi bhalle, golgappa (round, crispy balls), papri chaat (a fried wafer fusion) and bhelpuri (savory snack). A spicy curry of boiled chickpeas, garnished with coriander, ginger, onion rings, and a dash of butter, chole, is incomplete without kulcha, a fluffy, leavened flatbread. Sold in every nook and corner of the streets of Delhi, this is indeed a perfect breakfast snack to drive away your morning blues. 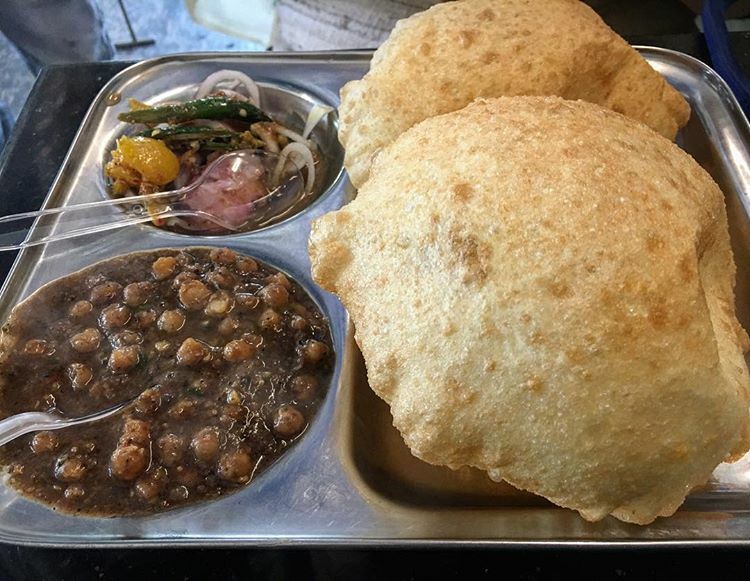 The USP of this place lies in the piping hot chole topped with sour sauce alongside soft kulcha served on leaf plates, with the spice level varying from mild, medium to hot. 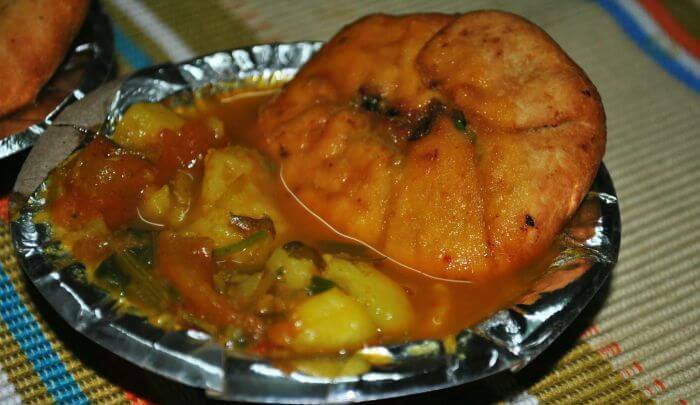 This tasty dish is similar to chole kulche, the difference being the kachori, a fried, crispy snack. The curry might either comprise of cooked potatoes or chole (chickpeas). Jung Bahadur running since 1940, is a popular old Delhi food joint, famous for their hot and crispy kachoris, especially those made from urad dal (black gram), alongside hot aloo sabzi, topped with chilies, coriander, and spicy dips. One of the greatest testimonies of the Mughal rule which the city boasts of is the sumptuous spread of kebabs and other Mughlai delicacies, mostly found in the Old Delhi region. Ghalib’s, adjacent to the Markazi mosque is famed for the juicy shami and sheekh kebabs it has been selling since 45 years. The reasonable rate of the delicacies draws a huge crowd towards this shop every evening. They are spicy fried fritters prepared from a batter of gram flour and any other ingredient like potato, eggplant, spinach, chili, cauliflower and paneer (cottage cheese). 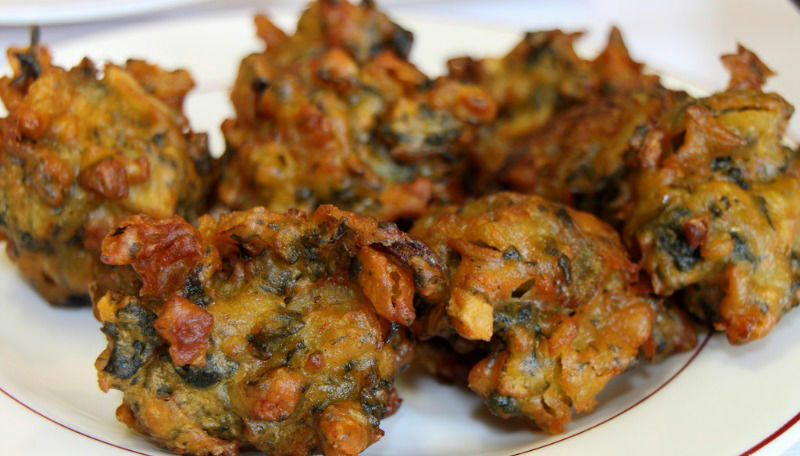 Khandani Pakodewala is a 50-year-old joint noted for selling 15 different kinds of pakoda. They even sell Gujarati snacks like dhokla and khandvi. 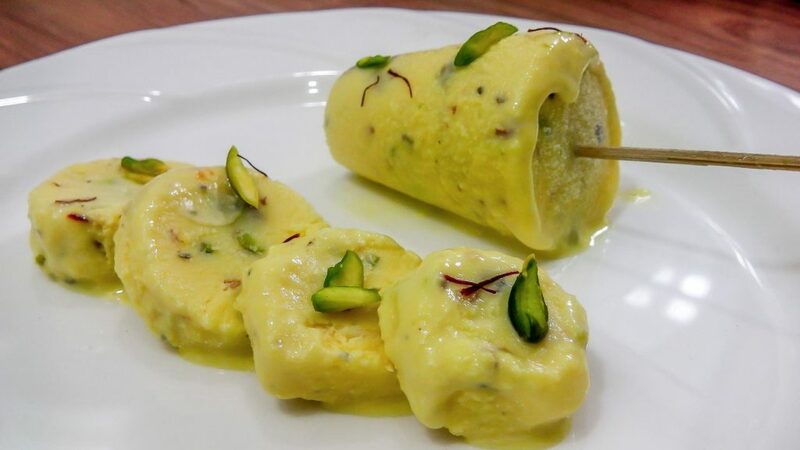 Kulfi, a flavored ice cream made with milk and garnished using almonds and nuts is extremely popular all over India, especially during the scorching summers. Of the several kulfi shops in Delhi, Roshan di Kulfi, functional since 1958 is the one of the most sought-after, noteworthy for their thick, filling presentation, topped with a satisfying amount of falooda (noodle-like topping). Their kesar pista and mango kulfi are the ones you cannot miss. They even offer sugar-free kulfi for those who have diabetes. Another popular North Indian dish, it has two parts, chole, a spicy chickpea curry and bhature, a fried flatbread prepared from flour. Onions, pickle and spicy dips make this dish all the more delicious. 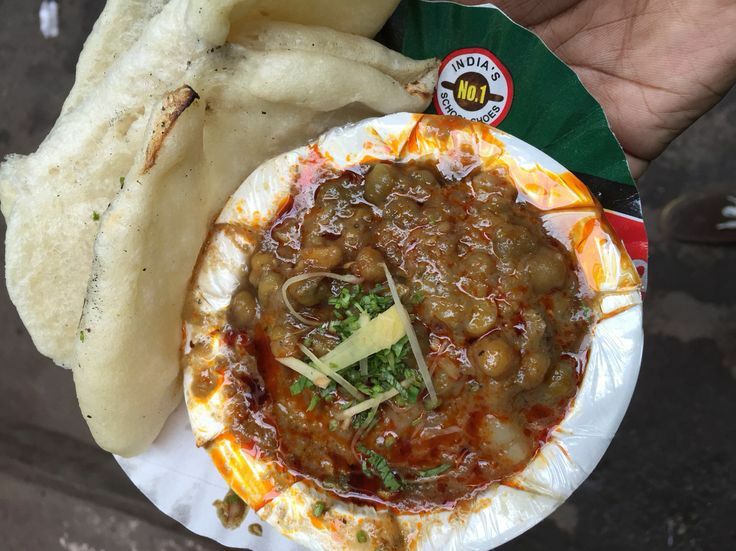 Chache di Hatti, situated in the Northern campus of Delhi University is an instant hit because of the soft bhature and spicy chole it sells along with a pickled salad. The rush is such that the stock gets exhausted by noon, within an hour or two of its opening time. Delhi would certainly not disappoint you when it comes to chicken dishes as it has a variety on its platters like butter chicken, chicken curry, kadhai chicken (a spicy dish named after the cooking pot or karahi in which it is prepared), chicken tangdi (leg) fry and much more. 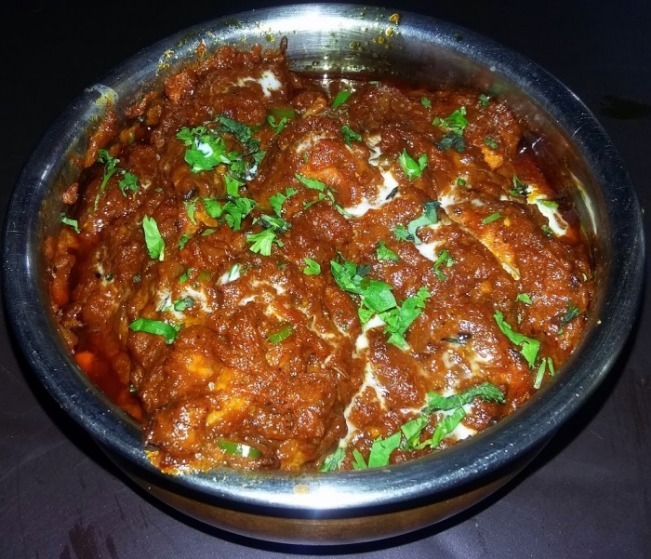 Of the various places specializing in chicken, Rajinder Dhaba is unique for its delectable food that comes at an economical price. The chilly winters here is incomplete without a plate of steaming parantha (a fried flatbread), often teamed with a piping hot curry and a dollop of ghee or butter. 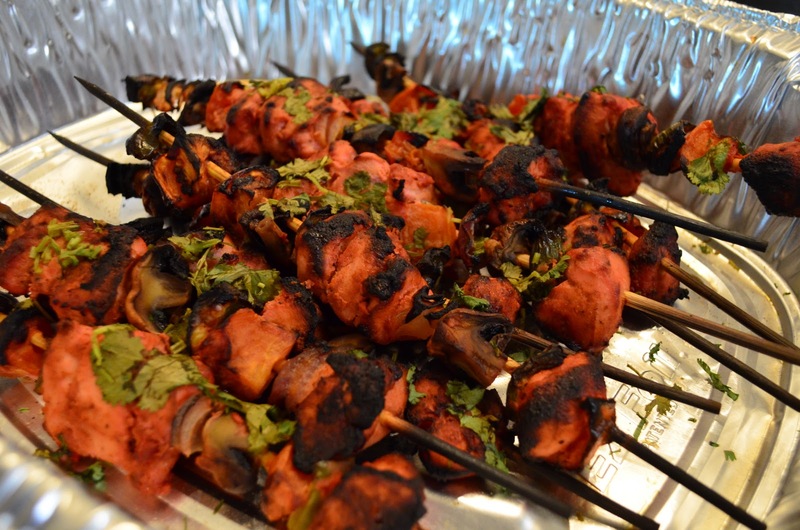 They are even stuffed with potatoes, radish, cauliflower, paneer, or chicken. 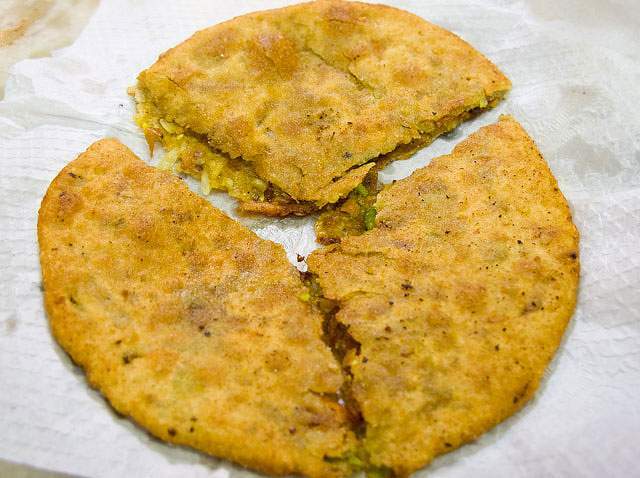 Moolchand, in South Delhi, boasts of paranthas filled with cheese, chill, fenugreek (methi), garlic, and egg. 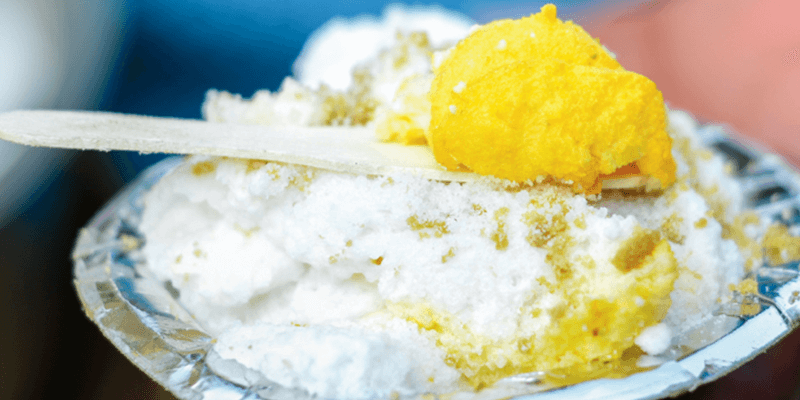 This is a soft, fluffy, buttery dessert exclusively found in the streets of Delhi during winters, prepared by whipping sugar and milk, and garnished with saffron. Served mostly in the mornings, it is equivalent to Lucknow’s nimish and Varanasi’s malayo. According to legends, the dish was deemed as precious as wealth and hence acquired the name “Daulat”. Areas around Chandni Chowk, and Chawri Bazaar in Old Delhi, sold in terracotta pots. 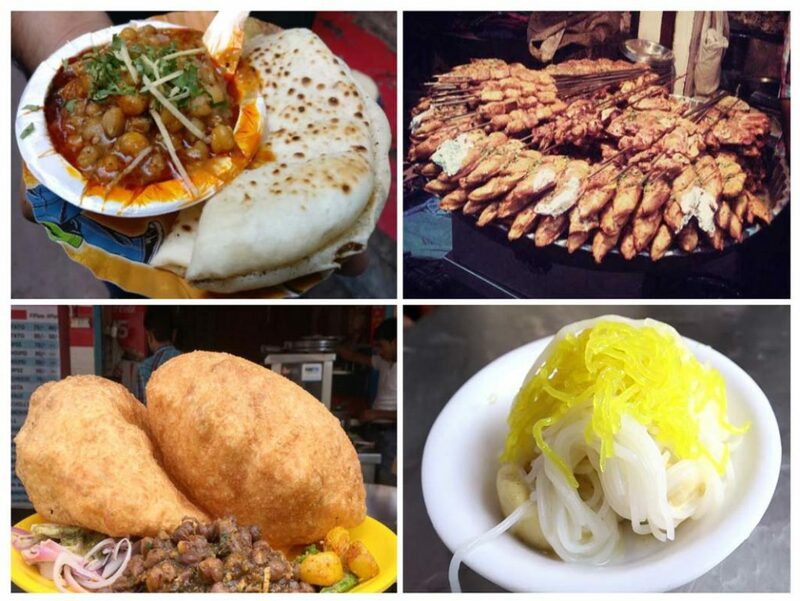 Though you would get street foods in every corner of the city, the popular hubs include the Chandni Chowk area of Old Delhi, Karol Bagh of North Delhi, and Lajpat Nagar area of South Delhi. To get a perfect feel of the street food market in Delhi as well as other cities in India, one can attend the National Street Food Festival, held in December every year.